The Kellogg-Briand Pact was signed August 27, 1928. It was first proposed by U.S. Secretary of State, Kellogg, and French foreign minister, Aristide Briand, to ban war between the two countries. The agreement was then extended to invite all countries to sign. Also known as the Pact of Paris, it was initially signed by 15 nations, Australia, Belgium, Canada, Czechoslovakia, Italy, Japan, New Zealand, South Africa, Poland, France, Germany, Great Britain, India, Ireland, and the United States. Eventually the agreement was ratified by 62 other nations. The parties had to agree that all disputes among them were to be solved by diplomacy, and in that way eliminating war as an instrument of national policy. The major concepts involved were internationalism, collective security and cooperation. The Pact failed to be effective, despite the number of countries that ratified it. There were no measures for enforcement, and there was opposition to the treaty, making it ineffective and unable to promote international cooperation. The U.S. also insisted that they were not tobligated to take action against countries that broke he Pact, as well; many countries made their own interpretations of the treaty, and maintained their right of self- defense. 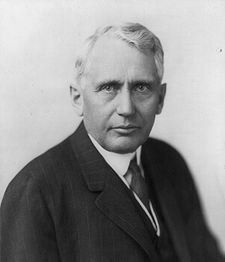 The pact attempted to promote international cooperation, banning war altogether could have provided a direct solution to conflict, as long as there was a means to enforce the treaty. All countries insisted they had a right to defend themselves in case of invasion, and `self defense` was never fully defined, therefore presenting many ways around the agreement. As well, all countries, including the U.S., maintained that they were not compelled to take action against or sanction countries who broke the treaty. Due to the depression and a lack of will to go to war, the Pact was unable to prevent aggression, such as the invasions of Abyssinia or Manchuria. The Pact was more idealistic than practical, it did nothing to prevent war or conflict during the interwar years, and was entirely pointless by the Second World War.